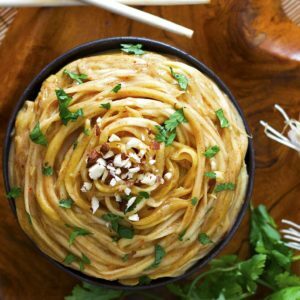 These sticky garlic noodles taste just like the An’s Famous Garlic Noodles and can be made in under 15 minutes! And my version is gluten free! One word of caution- they are so very addictive! I strongly advise you use chopsticks to eat these tasty noodles so you don’t inhale them too quickly (as I did ;))! I just couldn’t get enough! On a recent date night my hubby took me to a swanky Japanese joint that had an amazing menu! Some of the mouth watering options included crispy lobster dumplings and kimchi fried rice- but one menu option stood out from the rest- AN’s Famous Garlic Noodles. It was in BOLD and set aside from the other options. This really got my mind moving- just garlic noodles? Sounds soooo simple, too simple! How good could it actually be???? My curiosity got the better of me and I went ahead and ordered it! The minimalistic white bowl arrived at the table with a fancy pair of black chopsticks. I peered into the depths of the deep white bowl and sized up the golden colored noodles. They were arranged in a perfect swirled pattern. Rising steam brought the scent of soy and garlic. I started salivating and jumped right it! They were heavenly. Divine. Perfect. And in 5 minutes they were gone! So ever since then I’ve been dreaming of making my very own. 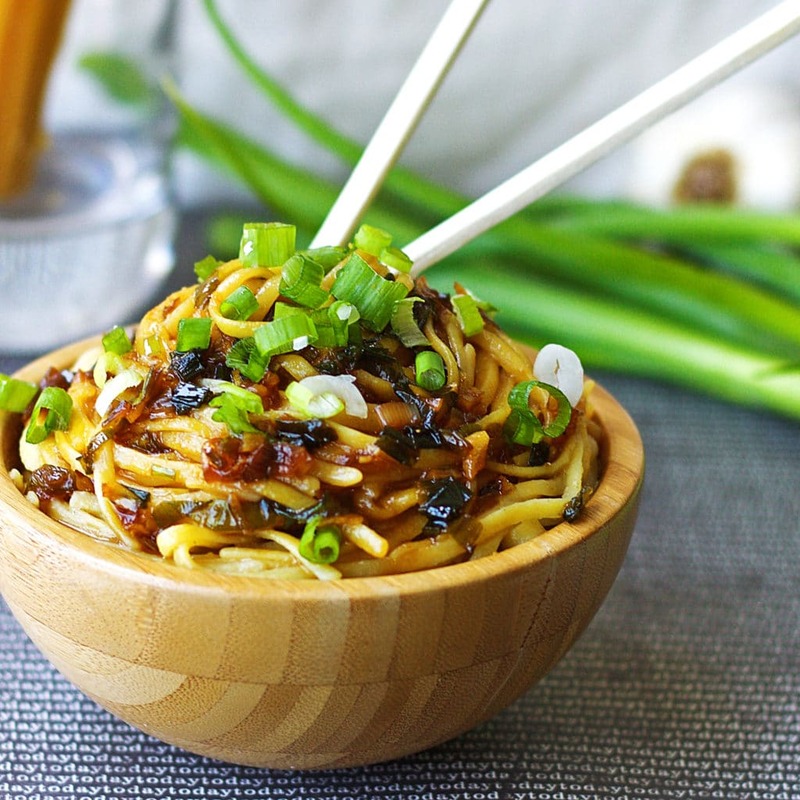 So back to the sticky garlicky noodles! The simple sauce is what makes this dish. This recipe can be adapted to pretty much any diet restriction as well! Paleo– Sub noodles for Zoodles (zucchini noodles) and replace butter with ghee. 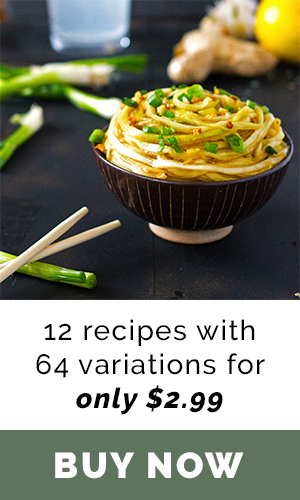 You can order the Spiralizer (to make Zoodles) HERE. I’ve got EVERYONE covered, right!? LOVE Noodles(or zoodles!)!? 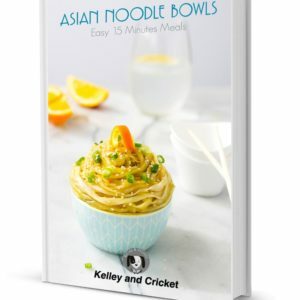 Get my ASIAN NOODLE BOWLS E-COOKBOOK complete with follow-along videos for every recipe! 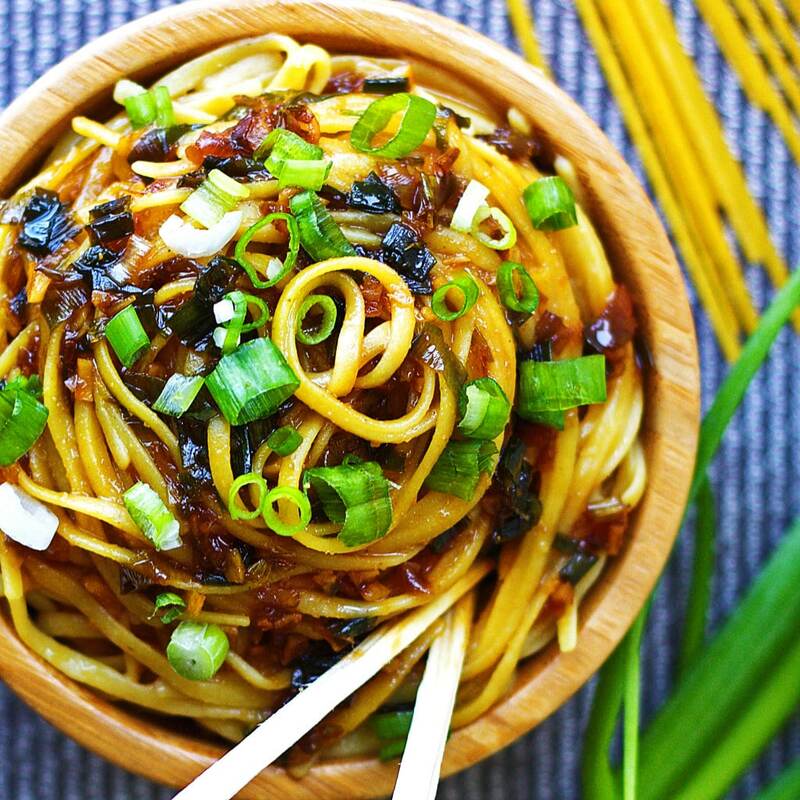 Crazy Good Sticky Garlic Noodles, An's Famous Garlic Noodles Copycat. Gluten Free, Paleo and Vegan recipe options too! Servings 2 -4 depending on how much you eat! Boil the noodles according to directions until al dente, drain, and set aside (add some butter so they don't stick together after draining). Meanwhile in a saucepan over medium-high heat melt the butter. Add the green onions and garlic and stir for about 1 minute until fragrant. Add the sugar and stir vigorously until it is completely dissolved. Add tamari (or soy sauce), and mix in thoroughly. 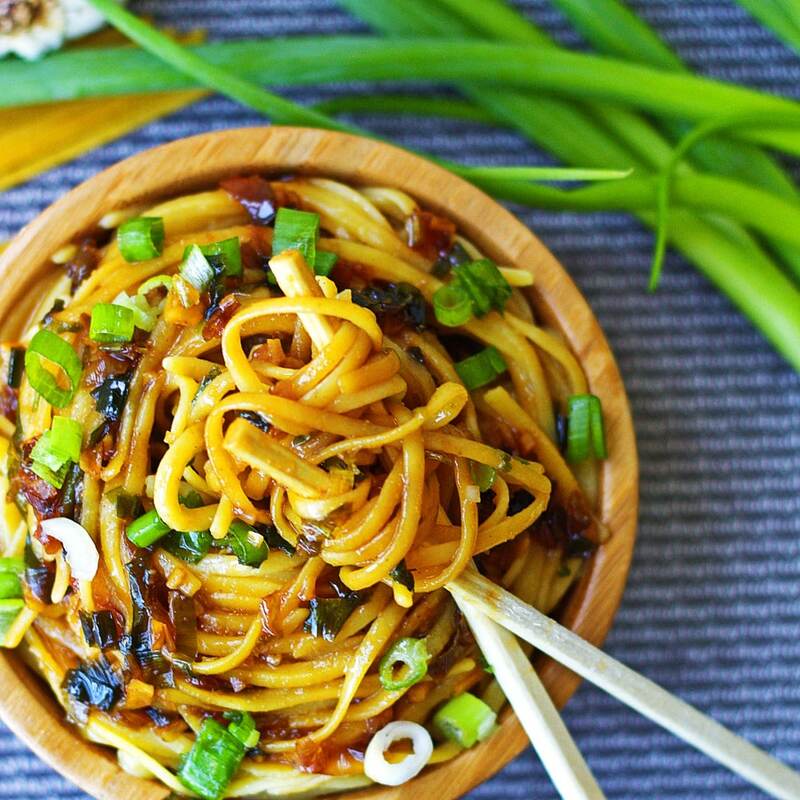 Toss the noodles with the sauce, plate and garnish with fresh green onions. I love how you arranged you noodles in this food photo. The swrilly pattern really drew me in. It’s breakfast time, but some how I’m in the mood for noodles now! So beautiful to look at – have to admire them before I chow down!! Anything sticky AND garlicy has my attention- but poured over noodles?! Yes please! These look deliciously dangerous, which is exactly how I like my food! Thanks for sharing the yummy “secret”! Cheers! Haha- me too! Love anything garlic, and sticky as well! Definitely making these noodles this week for dinner. Love how easy they are to whip up..and all that sticky sauce looks TOO good. Awesome! They are super easy and quick, and so worth it! Enjoy! Hi Dani! I think fish sauce will be a fine substitute. I’ve made them with our either and they are still awesome! Oh my goodness! This looks more than delicious! I have already pinned it and will DEFINITELY be making this ASAP! Thanks for sharing dear! Oh nom nom nom nom. These look like the perfect I don’t know what I’m going to make for dinner… oh look noodles! These look devine! Could I eat them now and cook them later????? Found this link on Pinterest and thought I’d give this recipe a go. I -cannot stop- making garlic sticky noodles! Thanks for the instant favorite. I’m so happy you love the noodles! I will be making this tomorrow!! I’m planning to make extra sauce and add some pan seared chicken to make it a full meal. Fingers crossed i can plate mine as pretty as yours!! I found this recipe on Pinterest about 15 minutes ago and made it 10 minutes ago. My husband and I slurped them down. So delicious! This will definitely be my go-to noodle craving recipe from now on. Thank you! So glad you and your hubby loved them! 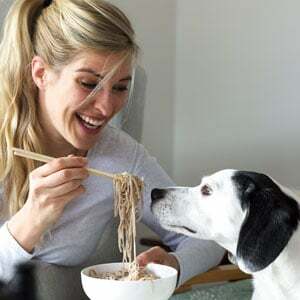 I am not, by any stretch of the imagination, an expert in any type of cuisine but I will tell you this – I do love noodles and that picture is calling my name. Thanks for the recipe, I will try it as soon as the wire & I are off work on same day. Making these for dinner tonight. I’m waiting for the water to boil for the pasta and trying to restrain myself from eating all of the sauce with a spoon. So easy, and so good! Will definitely make its way into our menu. Made these for lunch today with an Asian slaw – DEELISH. We both loved them and they’ll move into a regular rotation. Thank you for a wonderful adaptation – much appreciated! This looks great! When do you add the Oyster sauce, with the Soy sauce? TIA! Yes- add it along with the soy sauce! Sorry that wasn’t clear-enjoy!! Hi Miss Kelley! The garlic noodles look absolutely wonderful. However, I’m seeming to have trouble finding any type of gluten free noodles near me. Would whole wheat noodles work in this recipe? Yes- any of your favorite noodles will work. Just cook them according to the box’s directions and follow my recipe for the sauce! (Also- you can usually find rice noodles in the Asian section of most grocery stores.) Enjoy Jasmine! These were delicious but I must have done something wrong. My sauce was very liquidy and wasn’t soaking into the noodles very well. Also my green onions didn’t brown up like the ones pictured. It was still tasty but just wondering if you have any tips to help me out next time. Thank you! Hi Lindsay! Thanks for writing in. I’m sorry they didn’t turnout well for you but I think I know the issue. How long did you cook the butter and green onions for and at what temperature? My thought is that you didn’t cook them long enough and maybe at too low of a temperature. Don’t add the sugar until the onions look soft and brownish. The butter should be hot enough that it’s bubbly and sizzling, but not burning. Then when you add the sugar, mix thoroughly until its melted and the sugar will thicken us the sauce. Did you use real butter? Some other butter substitutes may not work either. Let me know if you have better luck! I want to try this this week or next week. But question! Which kind of noodles did YOU use ? And where did you get it from? Hi! I used gluten free quinoa noodles by Ancient Harvest. I go them from my local grocery store. Made these tonight…outstanding! Do you have the nutritional information by chance? I Tried these without the green onions or oyster sauce because I didn’t have any on hand and they were really delicious! I am definitely adding this recipe to my collection. So glad I found your blog. Thanks for sharing! Oh my goodness!!! These sticky garlic noodles were amazing!!! And the smell of the sauce once I put the coconut palm sugar in! It was heavenly!! Way better than any take-out! I used Coconut Amino since I cannot have soy and it worked perfect! This recipe is a keeper, especially since it was super easy!!! Do you recommend light or dark brown sugar? Not sure if it makes a huge difference. I found this recipe just this morning and HAD to try it. I just made this and am in the middle of eating a GIANT bowl of it and I had to stop and take a breath and write this post thanking you for the recipe! It’s such a great starting point too – I added sliced chicken and a teaspoon. of chili sesame oil and next time I’m throwing in a few handfuls of broccoli and tofu! THANKS! I made this tonight and can’t get over how easy and DELICIOUS this recipe is! Thanks for sharing! I’ll definitely be making this again soon! Thanks Liz! So glad to hear you loved them! Where has this recipe been all my life…used a 900gm bag of linguini and x4 the recipe!!! The family are licking the plates and want more. I will have to double what I made!!! My family (3 teens 1 5year old and me) thank your for the recipe. We also garnished with crushed chilies for a fantastickick!!! So glad you and your fam loved the recipe!! Oh that sounds delicious!! So glad you loved it! So when does the oyster sauce come in to play? My daughters will slurp this up I am sure! Hi! You can add the oyster sauce towards the end along with the soy sauce. Enjoy! Those are amazing!! Make them with zucchini noodles and Earth Balance butter substitute and found an instant favorite! Wow! Thanks so much!!! Super yummy!, I did add some crushed peanuts and red pepper flakes. Get in my belly!!! My husband says, “I FREAKIN LOVE THESE NOODLES YOU MADE!!!!!!!!!!!!”. Yes, with that many exclamation points. Thank you for a great recipe. Just made this dish and it was so good! And so easy! Will definitely make it again! Wow! Made it last night, so dang good!I I don’t know if I hate you or love you for sharing this recipe cause like you said couldn’t stop eating it, My will power went out the window after the first bite.